I know a gal who makes a point of writing down everything she finds amusing that her friends and kids say. She puts them in her phone and now and then she shares them in a series of hilarious stories on Instagram. I started this habit with my kids, because let's face it, our kids are hilarious. From their opinions on food, to the long term goals they set as a four year old about what they want to be when they grow up, kids give the best answers. Which is why I'm absolutely loving this brand new book from Waterbrook. The Daily Question for You and Your Child is a three year journal. Perhaps you have heard of these before, they have been popping up all over the place lately, from various publishers and with various themes. Journals for couples, teachers, ones you do alone, it's becoming quite the trend and a fun one at that. 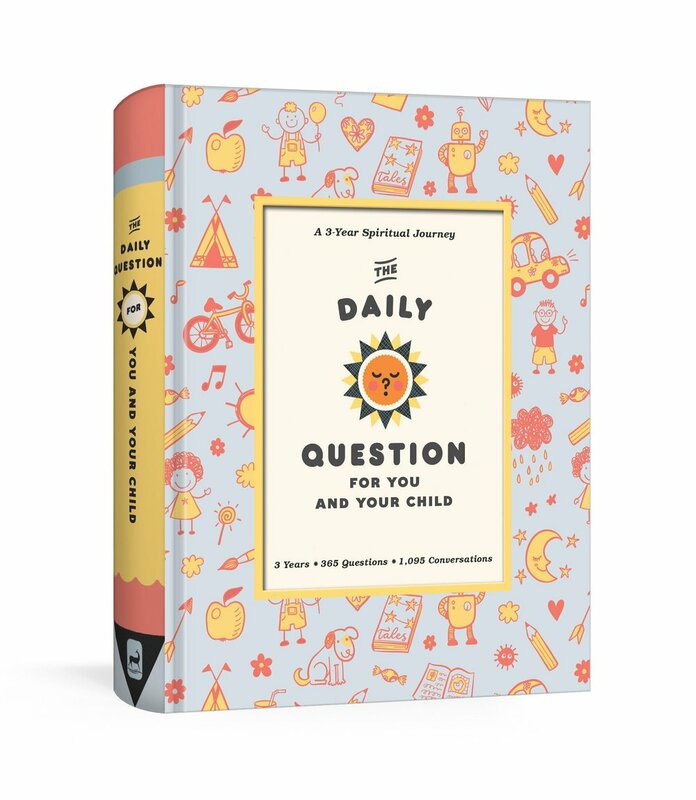 The premise behind this journal is that each day there is a question, and there are three spots to write your child's answer, but here's the fun part... you ask the same question three years in a row and record their answers on the same page. The journal is organized by month and day but don't feel the need to wait until January to start, you can jump in anytime! The point is to spark conversation and of course see how much your child's answers change year to year. 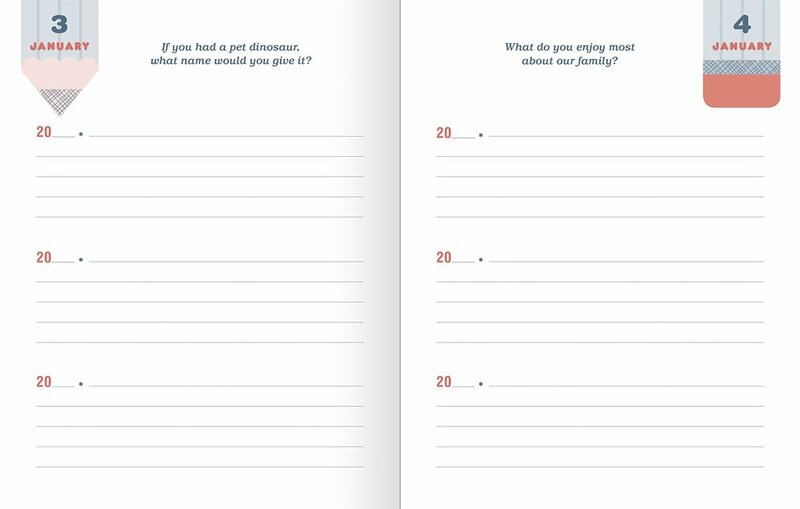 The book features a mix of both hilarious questions like "If you were a pirate what would be in your treasure chest?" or "You're on a five year mission to colonize Mars, what three things do you bring from your room?" to the more spiritual "What do you think heaven will be like?" or "What ways do you think God made you special?" Now parents who struggle with control, I want to take a moment and talk to you, in love and complete understanding. It's going to be very very easy to think you already know the answer to these or to not want to write down the exact answer your child gave you because at the time you are writing these down your child is being silly and instead of saying that Jesus is there favorite person (or mom) they say it's the lady who gives them honey sticks at sprouts. (Not that I'm speaking from any experience here) But let's all agree to resist the urge to make this journal Pinterest perfect or Instagram worthy. It's not to impress others with our child's spiritual prowess or their extraordinary intelligence. Instead lets make it a fun, silly, sometimes thought provoking, but always profitable chance to stop, sit and LISTEN to our children. Alright, PSA over. Let's move on. Now, as far as age goes with this one, I would say it's best for elementary age kids. There isn't a set number from the publishers but based on the content that's the recommendation I'm going to give you. Despite how amusing it is trying to get a toddler to answer some of these,I think it may be more profitable with the slightly older bunch. So my fellow parents, consider picking up a copy of The Daily Question for you & Your Child to help get the conversations started. We think you will love it and your kids will too!